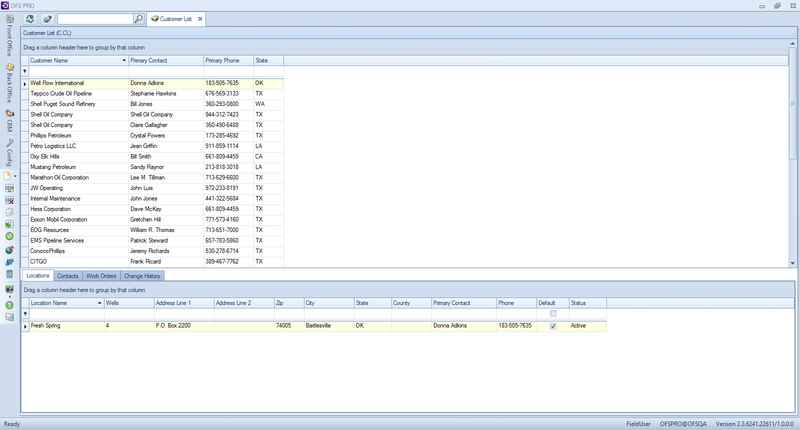 Open the “Customer” window by pressing Ctrl+N or by right-clicking within the grid and selecting New from the menu. All yellow fields in the window are required information, white fields are optional. Enter the customer name (usually the name of a company), primary contact (a person to act as representative for the company). There are two types of addresses in the address tab, one for mailing and the other for billing. In “Mailing” (Address Line 1) enter your mailing address information (street, building number, floor number, etc.). Select your country, state, country and ZIP code. To automatically fill this information in, enter the ZIP code first. Billing address fields will fill in automatically from the mailing address if you click on fill from mailing button to the right. If your billing address is different from your mailing address, repeat the previous procedure in these fields. On the Work Location Address tab, select the county. Fill out any optional information, such as phone number, email address, and emergency contact information. Click “OK” to close the window and save the new customer information. Locate an existing customer in the customer grid. Scroll to the “Locations” tab below the main grid. Right-click within the grid and select New from the menu. Enter the Location Name, and select country, state, and county–this information can be automatically filled in by entering the ZIP code. Complete any other relevant information (using the plus buttons next to Lease, Wells, and Primary Contact to create new records). The ellipsis button allows editing of existing records).